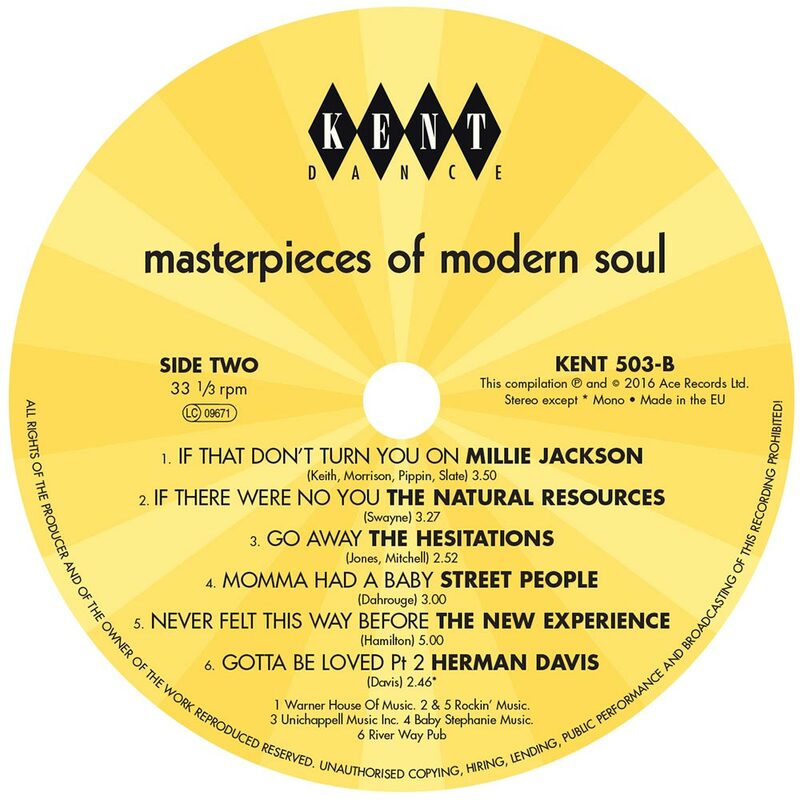 MASTERPIECES OF MODERN SOUL-VINYL EDITION. Over the last few years, there’s been an upsurge in interest in vinyl. In 2014, reached a record high. For the first time in over twenty years, vinyl sales in America surpassed the nine million mark. Things got even better in the first quarter of 2015, with sales increasing by 53%. It seems vinyl is back, and is here to stay. That’s ironic, as back in the late-eighties, early-nineties, the CD was seen as the future of music. People were selling vinyl collections they had built up over many years. With sellers outnumbering buyers, prices dropped like a stone. Sellers sold their collections at knockdown prices. Shrewd record buyers realised that this was an investment opportunity. Vinyl, they knew, would return. And so it has. After nearly two decades in the doldrums, vinyl is back. So are turntables. Suddenly, vinyl and turntables are the must have of the hipster and the chattering classes. They talk of pre-amps, cartridges and counterweights. That’s not forgetting Record Store Day and heavyweight vinyl. Vinyl is very definitely back, and now, it’s possible to buy just about any release on vinyl. Whether it’s a the latest release, reissues or compilations, there’s most likely a vinyl version available. 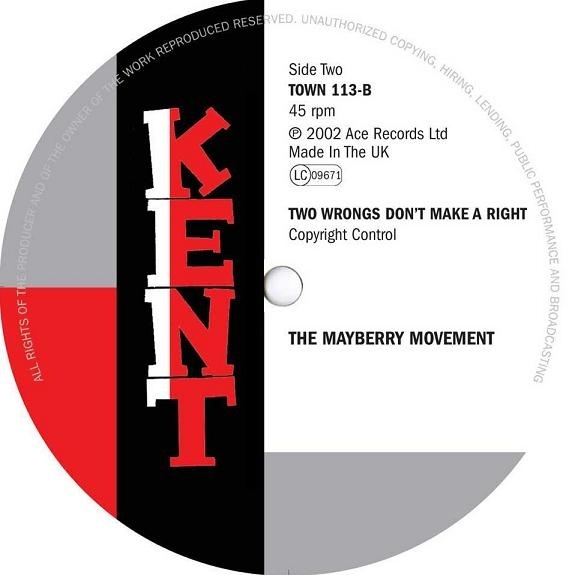 A recent convert to the vinyl revolution is Kent Soul’s hugely popular Masterpieces Of Modern Soul series. Recently, Kent Soul, an imprint of Ace Records, decided that now was the time, to start releasing Masterpieces Of Modern Soul series onto vinyl. The first instalment in this series is simply entitled Masterpieces Of Modern Soul, and features twelve tracks. This includes Act 1, The Mayberry Movement, Gail Anderson, Nightchill, The Hesitations, Street People and Herman Davis. 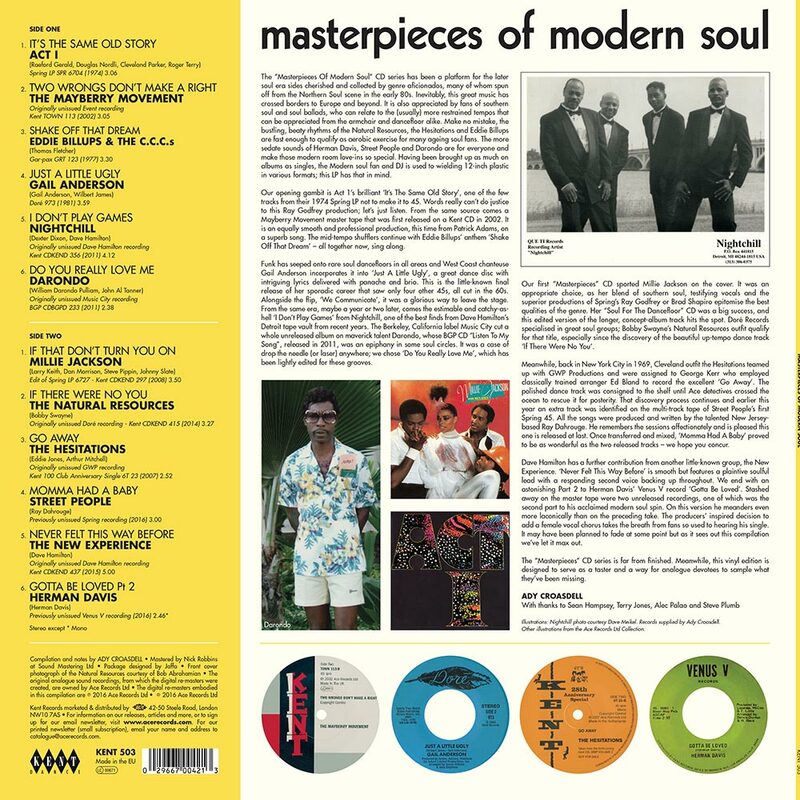 This as you’ll realise, is a tantalising taste of what’s in-store for soul fans as the Masterpieces Of Modern Soul series converts from CD to vinyl. Opening Masterpieces Of Modern Soul is Act I’s It’s The Same Old Story. Act 1 were a Detroit based studio band. They were assembled by producer Raeford Gerald. He produced their two US R&B hit singles Friends Or Lovers and Takes Two Of Us. 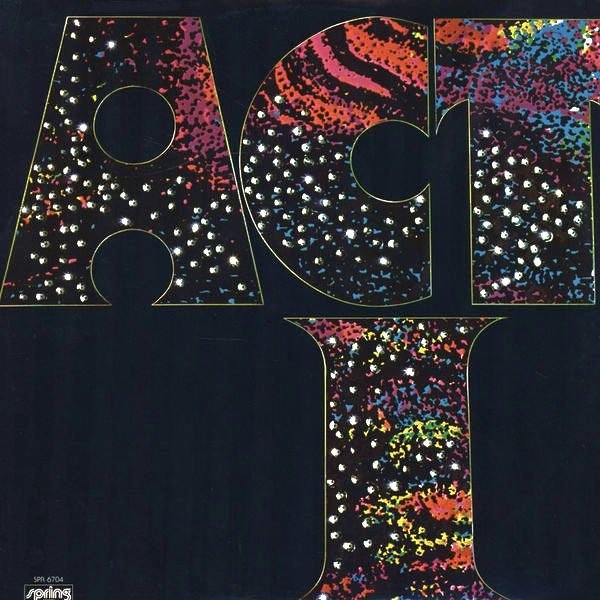 Then in 1974, Raeford Gerald produced Act 1’s eponymous debut album. It was released on Spring Records, It’s The Same Old Story. Just like the two singles, It’s The Same Old Story is melodic and soulful song from Act 1. 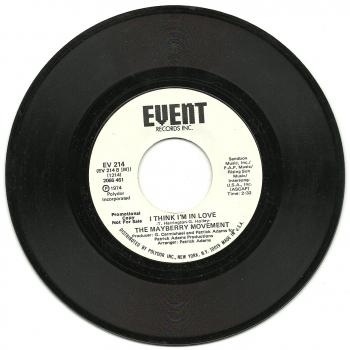 Originally, The Mayberry Movement were signed to the Event label, and released two singles in 1974. Then in 2002, a long forgotten song was discovered by Kent Soul. This was The Mayberry Movement’s Two Wrongs Don’t Make A Right. It found its way onto the B-Side of Millie Jackson’s Kent single Don’t Send Nobody Else. This was a limited edition release, so many people will be unfamiliar with Two Wrongs Don’t Make A Right. Not any more. This delicious, smooth, hook-laden dancer epitomises everything that’s good about Modern Soul. The same can be said of Eddie Billups and The C.C.C.s Shake Off That Dream. It was released in 1973, on the Seventy 7 label, but failed commercially. That’s despite Shake Off That Dream being a joyous anthem that’s akin to a call to dance. Resistance is impossible. Instead, submit to the charms of Shake Off That Dream and dance like you’ve never danced before. In 1981, Gail Anderson released We Communicate as a single on the Dore label. The single wasn’t a commercial success. However, hidden away on the B-Side was Just A Little Ugly. It was penned by Gail and Wilbert James. He then co-produced the song with Jesse Antoine and John Stephens. 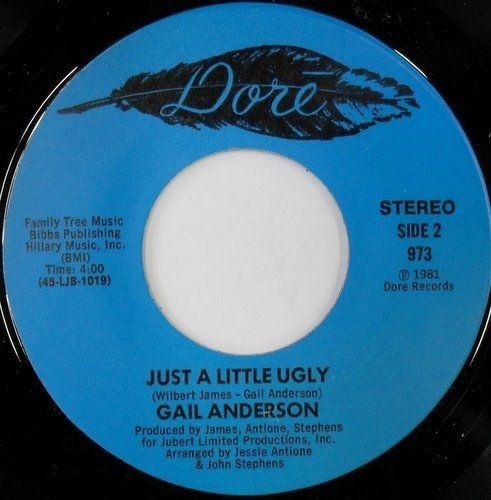 They provide a tough, funky backdrop for Gail’s soulful, sassy vocal on this hidden, modern soul gem. 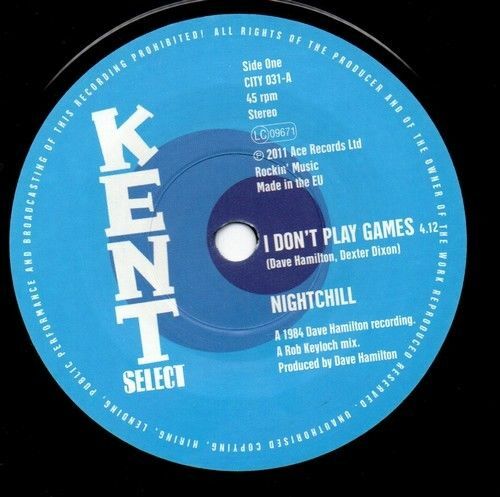 Nightchill’s I Don’t Play Games is a song that many people won’t be familiar with. At first glance, this Dexter Dixon composition sounds like a song from the sixties. It’s not though. There’s a modern soul sound to this Dave Hamilton recording from the eighties. Darondo released his Listen To My Song: The Music City Sessions album in 2011. It was released by Omnivore Recordings, and then in 2013, by BGP Records in Britain. One of the highlights of the album was Do You Really Love Me, a needy, heartfelt ballad. This is the perfect way to close side one of Masterpieces Of Modern Soul. A radio friendly edit of Millie Jackson’s If That Don’t Turn You On opens side two of Masterpieces Of Modern Soul. It’s a track from Millie’s 1980 album For Men Only. It was released on Spring Records, and finds Millie Jackson at her sassiest and feistiest. This radio edit of If That Don’t Turn You is a toned down taster of For Men Only. The Natural Resources recorded If There Were No You in the seventies. It was a Bobby Swayne composition, produced by Lew Bedell. For some reason, this joyful, string drenched, soulful dancer was never released. That was until it found its way onto Kent Soul’s 2014 compilation Doré: L.A. Soul Sides. If There Were No You takes makes a welcome reappearance on Masterpieces Of Modern Soul. The Hesitations were from Cleveland, Ohio. They first came to the notice of soul fans in 1966, when they released their debut single Soul Superman on Kapp Records. By 1969, The Hesitations were signed to the New York label GWP. That’s where The Hesitations recorded Go Away. However, Go Away wasn’t released until 2007, when it found its way onto the flip side of a Kent Records anniversary special single. At last, this slick, smooth and polished slice of soul found the audience it so richly deserved. Street People were a soul quintet consisting of Roy Daniels and Milton Daniels, Thomas “Toot” Williams, Joe Gardner and Rick Johnson. 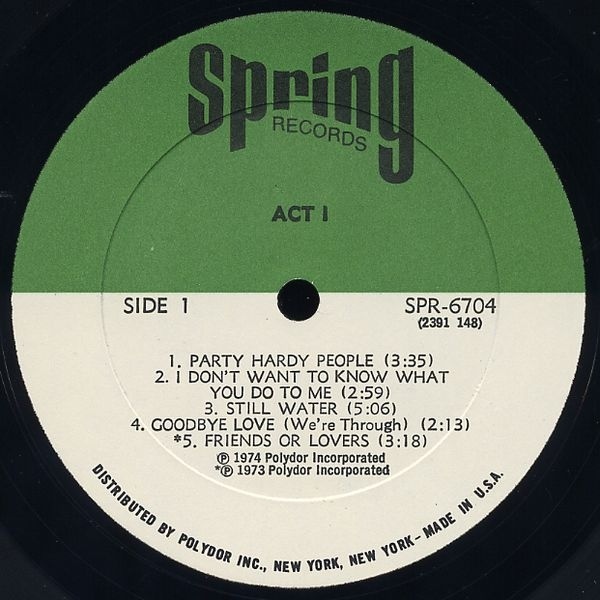 They signed to Spring Records in 1974, and released I Wanna Get Over as their debut single. It was written and produced by Ray Dahrouge. Tucked away on the flip side was the irresistible Baby, You Got It All. It’s got everything. A hopeful lead vocal, tight, soulful harmonies and dancing strings. So good is Baby, You Got It All it could’ve been a single. The New Experience’s Never Felt This Way Before is another Dave Hamilton production from the eighties. However, it was never released until 2011, when it found its way onto the Dave Hamilton’s Detroit Soul compilation. This anguished, impassioned confessional of a vocal makes a very welcome reappearance on Masterpieces Of Modern Soul. 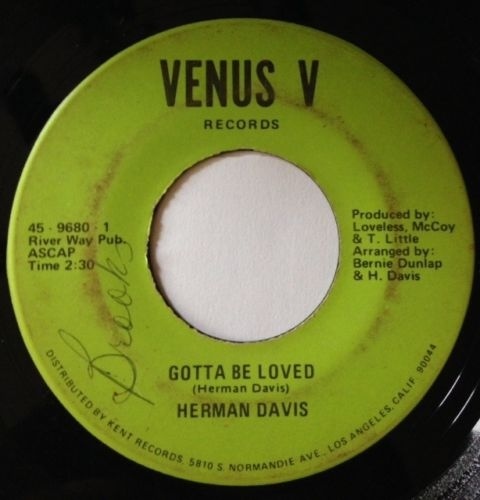 Closing side two of Masterpieces Of Modern Soul, and indeed the compilation, is Herman Davis’ Gotta Be Loved. It was released on the Venus V label in October 1971, and is a real rarity. That’s not surprising, given the quality of this single. Herman Davis delivers a needy, heartfelt and hopeful vocal on this beautiful ballad. It’s a perfect way to close Masterpieces Of Modern Soul, and whet’s the listener’s appetite for the next instalment in the series. That’s still to come. In the meantime, the vinyl edition of Masterpieces Of Modern Soul will be of interest to anyone that’s joined the vinyl revolution. Whether veterans of vinyl releases or newcomers to the medium, Masterpieces Of Modern Soul is the perfect addition to a burgeoning record collection. It’s a release that oozes quality and sound great. 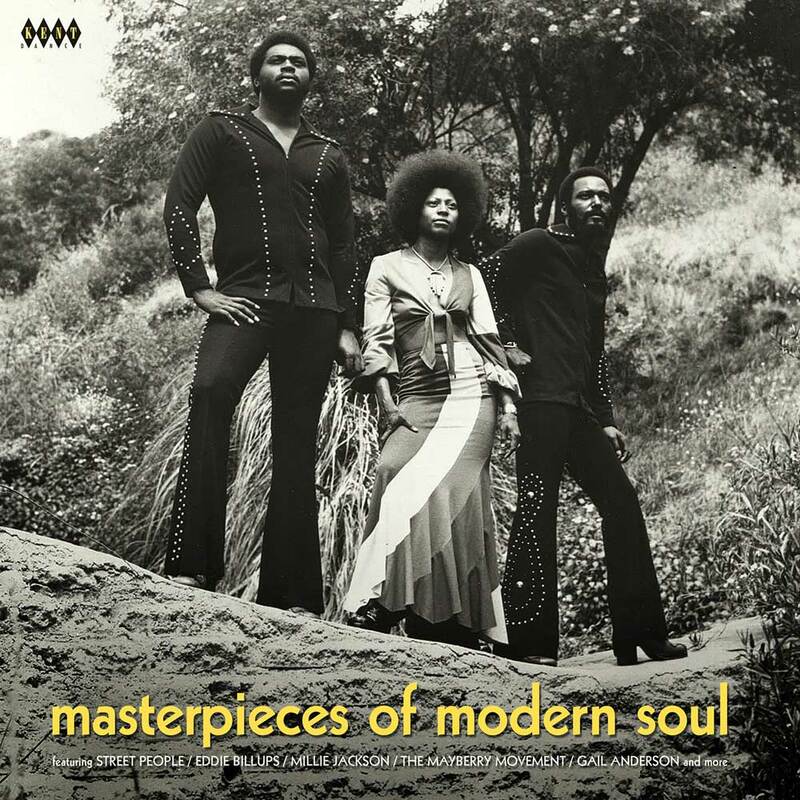 Featuring twelve tasty slices of modern soul, Masterpieces Of Modern Soul is a mouthwatering proposition for soul fans. It sees familiar faces, rub shoulders with minor classics and hidden gems. Similarly, some of the biggest names in soul sit side-by-side with one hit wonders and contenders. However, they all have one thing in common. 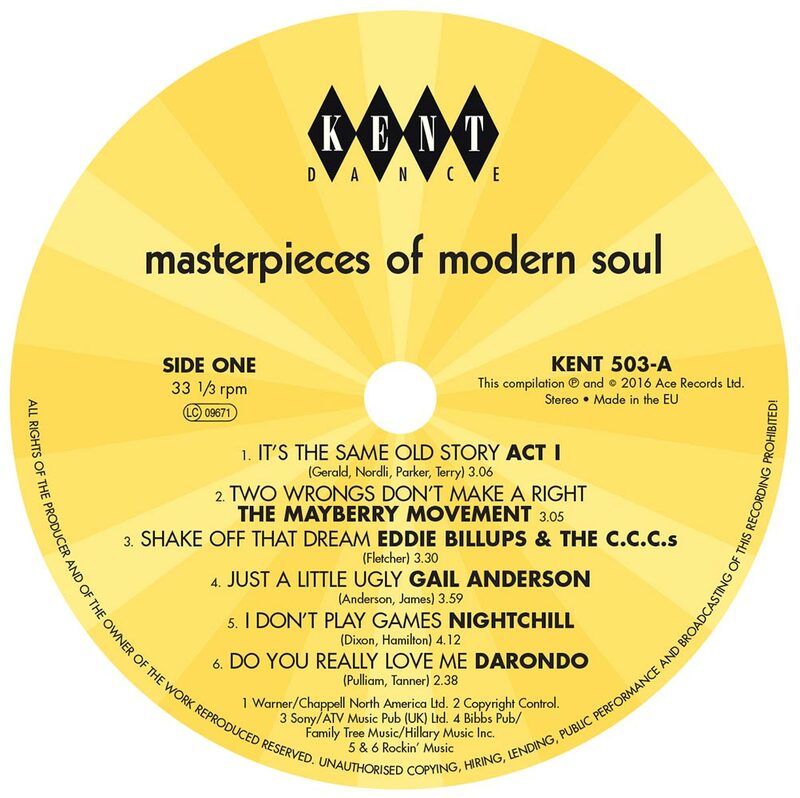 They’ve all contributed one of the Masterpieces Of Modern Soul on this latest compilation from Kent Soul. ← DISCO LOVE VOLUME 4-MORE DISCO AND SOUL UNCOVERED.